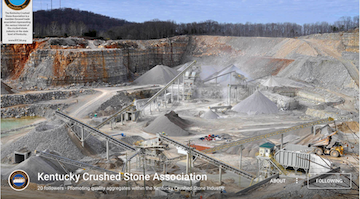 ARLINGTON, VA – The U.S. Department of Labor’s Mine Safety and Health Administration (MSHA) reports that 27 mining fatalities occurred in 2018 - the second lowest number ever recorded. Click here to learn more details. Frankfort, KY (January 14, 2019) - Over the past few years, there has been much discussion about the need for additional resources to support Kentucky’s crumbling transportation infrastructure. The funding hole that currently exists becomes even deeper at the end of fiscal year 2020 when the Transportation Cabinet estimates that all of Kentucky’s available federal toll credits – a resource the state has used to match and bring in federal transportation grant money – will be gone. A bill filed in the 2018 General Assembly provides a way forward. Click here to read the article. December 10 - Boyle County, KY - The Boyle County Fiscal Court recently approved a resolution urging the Kentucky General Assembly to “act as soon as possible to address all of Kentucky’s transportation funding needs to avoid further erosion of the transportation network.” “Everything is so dependant on the gasoline tax — but I would say it’s a fee, not a tax. If you don’t drive on the roads, you don’t pay it. With gas prices falling, it cut the road funding for not only state government, but county and city governments also,” said Vince Lang, the association’s executive director. Click here to view the article. October 10 - Washington D.C. - The U.S. Senate approved a reauthorization of the Water Resources and Development Act (WRDA) by a vote of 99-1, sending the two-year bill to the president’s desk. Click here to see the press release.